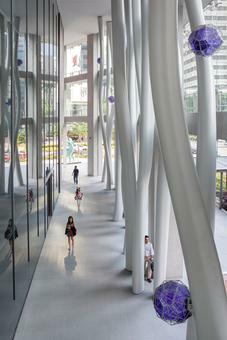 Fifty-six steel columns twist up from the pavement to the ceiling of the entrance area of Toyo Ito's Market Street Tower in Singapore. 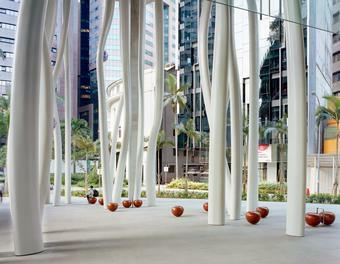 The columns, all approximately fifteen metres in height, vary widely in form and orientation, and create a diverse portico of undulating roots leading into the skyscraper. 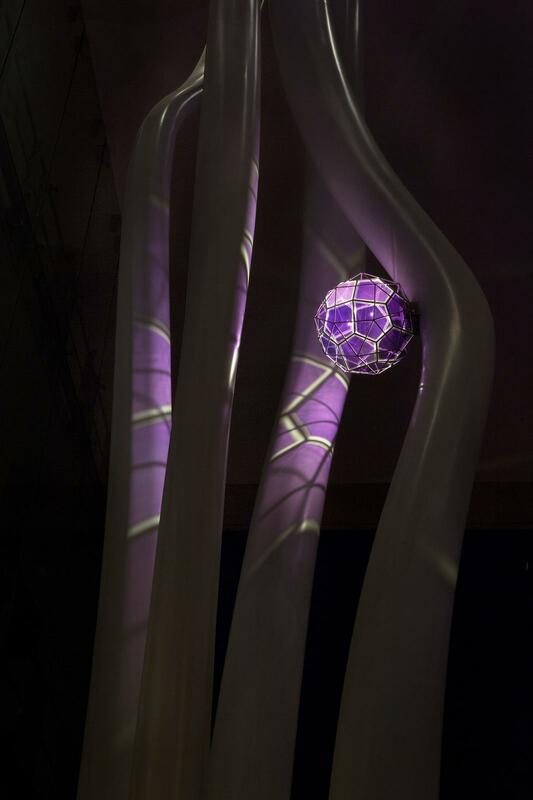 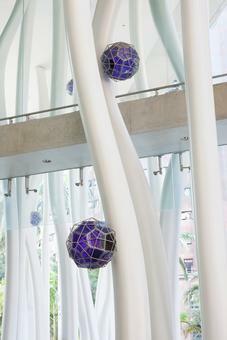 Sixteen crystals hung among the roots combine two related polyhedra into a single design: the faces of the purple glass core are based on pentagons, while the steel outer frame consists of triangles and squares. 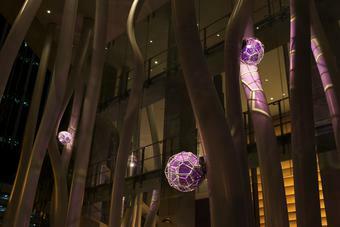 Lit from within at night, the crystals produce atmospheric lighting and cast complex shadows onto the surrounding columns, walls, and glass facade. Unlike the typical grid of urban space, the roots break with expectations and appear to writhe like living matter. 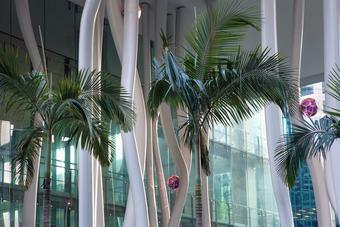 The artwork picks up on the ecological concept of the building and endows it with aerating roots that cement the architecture in the city and provide an organic transition from the street into the foyer. 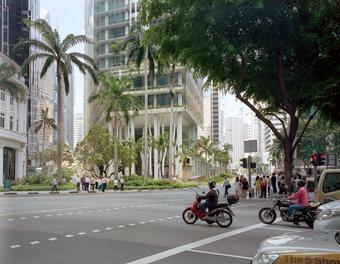 It proposes a soft border between building and city, built environment and nature.